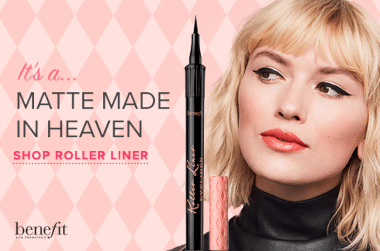 No need to stop there - check out one of Benefit's best-selling mascaras. Whether you're looking for dreamy length, volume or curl Benefit have got you covered. If you want lashes that just don't stop try layering your favourites - layer They're Real over Badgal Bang for lashes with incredible length and volume. For a volume and curl combo that will be sure to stun, apply Roller Lash followed by Badgal Bang - and if you're really after the ultimate lash finish with a layer of They're Real. Benefit are also known and loved for their cheek products, from cult classic bronzer Hoola to new kid on the block, Gold Rush. And the best part? They're all available in a mini size, perfect for handbags and travel! i don't use this as primer, but just normal mascara. i love this for everyday mascara as it doesn't smudge on me like the they're real mascara, but it gives amazing length and tint on my lashes.